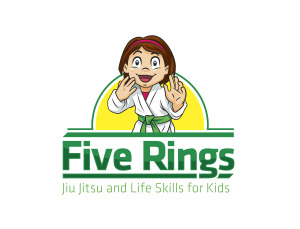 Five Rings just completed five days of belt testing of our youth athletes ... and they did GREAT! ! ! Big congratulations to all 90+ kiddos who earned their new rank (spread out over 13 testing sessions). Lots of hard work, good attitudes, and not giving up were displayed throughout the week. 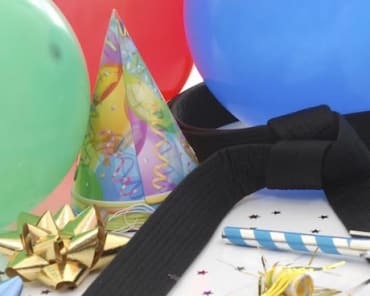 And lots of big smiles were seen as our young athletes completed another milestone in their Jiu Jitsu journeys. With over 90 kiddos testing, there were lots of all star moments! Samurai Meher Kaur earned her double red stripe (the first in Five Rings' history for this age group). Dragon Koji Tsugawa earned his Camo belt with a black stripe and he is also leveling-up to the Warriors in the next curriculum cycle. Dragon Teo Lippy earned his Camo belt with a black stripe. Warrior Anabel Garza earned her high green belt (the top of the Warrior's belt tree). Warrior Snowden Gabrielsen earned his high green belt (top of the Warrior's belt tree). Warrior Nicolas Garza earned his high green belt 1st degree and will be leveling up to the Shinsengumi in the next curriculum cycle. There will be no classes from Wednesday, March 20, through Saturday, March 23. Monday, March 25 will be the beginning of FUN Week. Monday, April 1, will be the beginning of the new curriculum cycle. 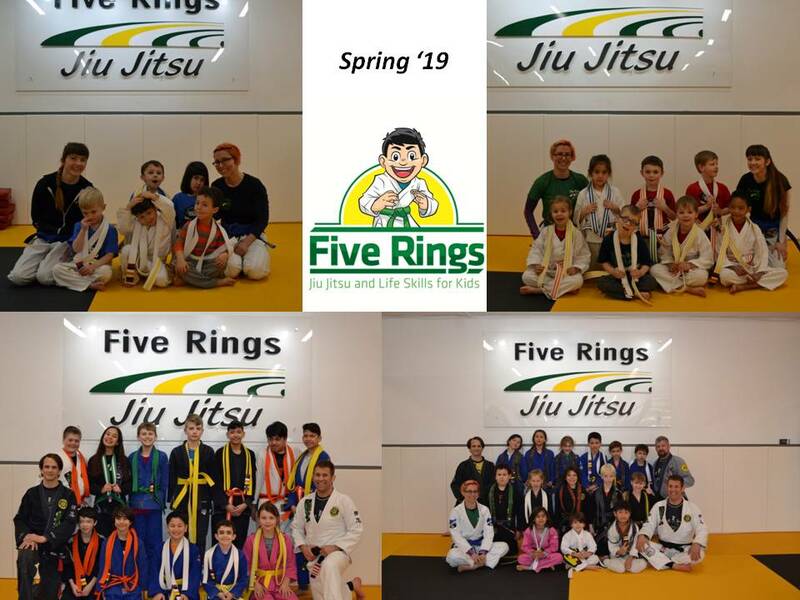 Great things are happening in the youth classes at Five Rings --> a profoundly positive place for children to grow up strong, resilient, and capable. Keep up the GREAT work guys! ! !